Happy Tuesday friends! I hope everyone had a fabulous Christmas and Santa got you everything you wanted! I definitely had a good Christmas. It was the perfect mix of relaxing and family time and I definitely got lots of fun new things. Now I just need it to cool off here so I can wear some of the fall/winter things I got. Or maybe I should just take a trip somewhere cool. Either way, it definitely didn't really feel like winter here on Christmas but I made the best of it! Now 2017 is literally just around the corner and today I'm sharing some fun last minute NYE outfits with you. Loving all these for NYE! We won't be going anywhere this year since my husband is working, but I am all about the glitter and sequins...even at home! So glad you had a wonderful holiday! These outfits are all so fabulous. I need everything in that second look! I definitely needed these inspirations today! I have no idea what I am wearing yet, but I do adore those sequin pants! These are all great NYE outfits! I think the first one is my favorite - that skirt is too fun. Happy Tuesday! Gorgeous mix and match of fashion! I've always wanted some sparkly leggings and the 3rd outfit is totally fierce. Wish I had a fancy event to attend this NYE! I've always been one to rock a really pretty Dress for New Years, but i'm digging the sparkly pants and the skirt. Those are some combos that look amazing <3 Great ideas girl! Love the options of these. We are going to a friends house for NYE and plan to keep it fairly casual, but adding a little sparkle is always fun! I'm with you on needing the weather to get cooler sooner rather than later! This heat is killing me! 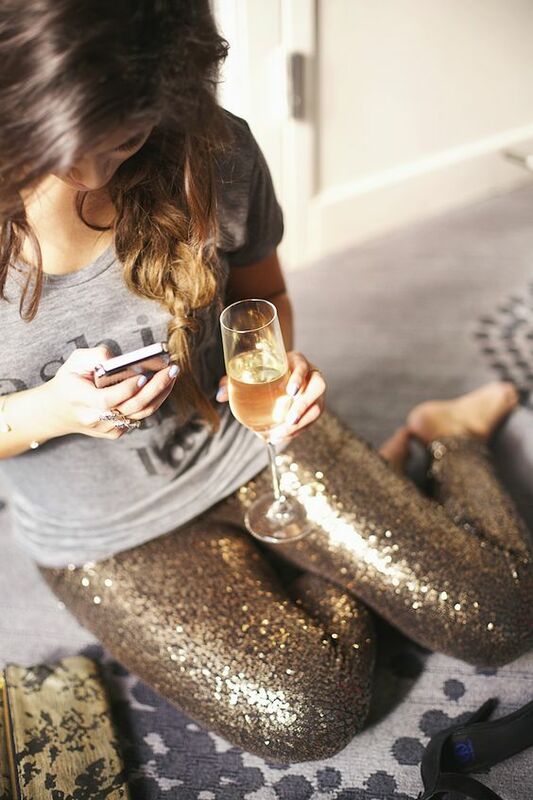 I love your NYE outfit inspiration, especially those sparkly pants! Sparkle is the most perfect accessory for NYE! The second outfit is perfect for a casual night out or in, which is exactly what we will be doing. Glad you had a good Christmas weekend! i always love these posts bc i'm like hmm which one would i wear and which one looks most like you. i think i decided #2 is you and #1 is me. strangely. but then again i love #2 bc pants and turtleneck. i take it back haha. i love all of them - right down to the fringe details in #3! Such great outfits, I can't pick a favorite-- I think I'm going with red this year, but love the lace dress! I'm 150% positive I need those sparkle leggings in my life! Panasonic Lumix DMC TZ35 Digital Camera is manufactured by the Panasonic. It has a 16.1 megapixel with 20x optical zoom Lens. If your pictures and videos of this camera is removed then you can easily restore all items with the help of Panasonic Photo Recovery Software. For more details visit this sites.